On Thursday, NASA announced a new plan to try to rescue Opportunity, the Mars rover, which has not responded since the start of a major dust storm this summer. But some people working on Opportunity believe NASA is instead preparing to give up the longest-working Mars spacecraft because it would be too expensive to save. The opportunity rover landed in 2004 with only three months of planned work on Mars. Fourteen years later, the rover has crossed about 30 miles of Mars surface. During this time it survived some horrors, including a previous dust storm in 2007. But the storm he faced this summer was the largest that Mars has seen in decades. 0, just before the global dust storm swallowed the Red Planet. The storm put out the sun on Mars and let the solar-powered opportunity for energy. Opportunity relies on its solar panels to gather enough energy from the sun every day to recharge its batteries to help it move. In return, the rover's movement keeps the spacecraft warm. (The Rover is equipped with dedicated heaters, but also requires battery power.) Without sunlight, the Rover is practically in a coma. NASA spent most of the summer waiting for the storm to communicate through the dust was impossible. This means that the agency and the world have been waiting to see if the rover will ever wake up again. Today's plan is the most concrete recovery program. As soon as the storm falls below a certain intensity, NASA sends commands to the rover for 45 days, using the deep space network of antennas stationed around the globe. When the rover responds, NASA will check their health and bring them back online. But if it does not respond, NASA says it will be "forced to conclude that the sun-blocking dust and the Martian cold have caused some sort of disruption that the rover is unlikely to recover from." NASA will not give up completely after these 45 days. The agency will spend "several months" listening "passively," hoping that enough dust will be released from the rover's solar panels to attract Opportunity. The agency points to the common occurrence of "dust devils" on Mars, which sometimes come close enough to the spacecraft stationed there to clean solar panels and other instruments. 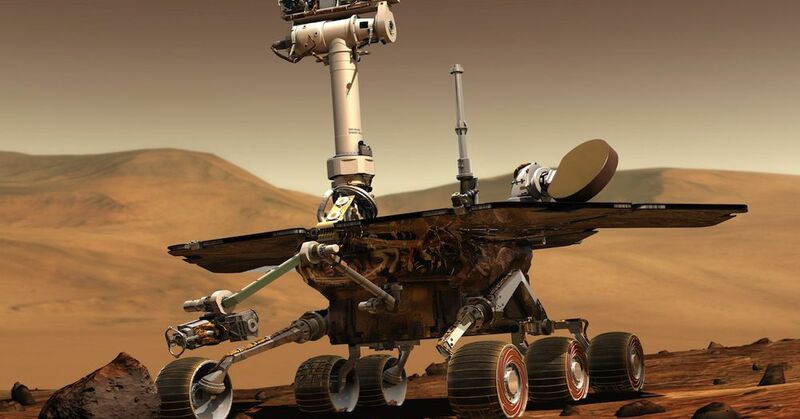 These so-called "clean-up events," NASA says, have helped boost the battery power of Opportunity and its now dead sister rover Spirit so it could happen again. But NASA says it's "unlikely" that there's "a lot of dust" on the solar cells. If that is the case, there is not much that one of these cleaning events can do to help. People close to the mission do not agree with the official stance. The press release is dishonest, says a person who works with Opportunity, who has requested anonymity because they are not allowed to speak. Measured by the measurements of the Rover Curiosity (which is operated with nuclear power), the amount of dust in the Martian atmosphere has fallen rapidly, says the person. In a sense, this is a good sign that the storm is abating, but the swirling dust has most likely fallen directly down – including Opportunity's solar panels. If this is the case, chances of recovery could depend more on having a happier brush with a dust devil than NASA allows, this person says. And that means there's a timing problem: Dust devils will not appear frequently on Mars until a season change takes place in November, as another person near the mission reports. So the dust devil season could be good after the 45-day active communication period ends. If Opportunity's solar modules get clean, but NASA just listens passively for a signal and does not send "wake-up" commands, the rover could just sit helpless. The members of the Opportunity Technicians team have recommended another plan recommended person near the mission. Their idea was to actively communicate with Opportunity by the end of January 2019 – the end of the seasonal cleaning time. Afterwards, they proposed passive listening until the end of 2019. But those recommendations were ignored by management to save money, the person says, which means the agency could risk giving up a functioning rover. The Opportunity Team reportedly received an official announcement of the plan after The Atlantic "just minutes before the release of the press release by JPL." John Callas, Opportunity's Project Leader, said in an interview statement to The Verge that "all engineering teams, as well as other Mars exploration experts were consulted and involved." "We are a team of strong opinions and there are some differences, but that's what makes good engineering decisions and has made us successful over the years," he said. Callas added that every milestone in the NASA plan (such as when the 45-day deadline ends) will be followed by an "additional discussion and review" to accommodate new information. Whatever happens next, the NASA plan has strongly impacted responses from the space community on Twitter, including people who have previously worked with Opportunity. NASA's plan is "100% Grade A BS," said former Opportunity Flight Director Mike Seibert on Twitter . [T] The time it has been made available to seize the opportunity is deplorably inadequate, and anyone who made this decision is a coward. "Someone at NASA" must try the mission for non-technical reasons to kill " he said . "I'll guarantee that this decision does not match the technical recommendation of the team," tweeted Scott Maxwell, a former opportunity operator, . "They're way too good at their jobs to do something so ridiculous." Emily Lakdawalla, executive editor of the Planetary Society, attempted to launch a hashtag campaign on Tuesday when she tweeted: "It's extremely urgent that you're interested in our loyal Mars rover, TONIGHT Tweet the hashtags #WakeUpOppy #SaveOppy . "Her tweet gave a rush of support for the rover, with scientists and fans alike sharing Opportunity photos of the Martian surface. "Thanks to everyone who responded to the call for support last night," she wrote the next day. "I do not know if your help has reached its final destination, but I know Opportunity's team members have at least heard their voices, sorry to be vague, I'll explain it in the future if I'm allowed. "